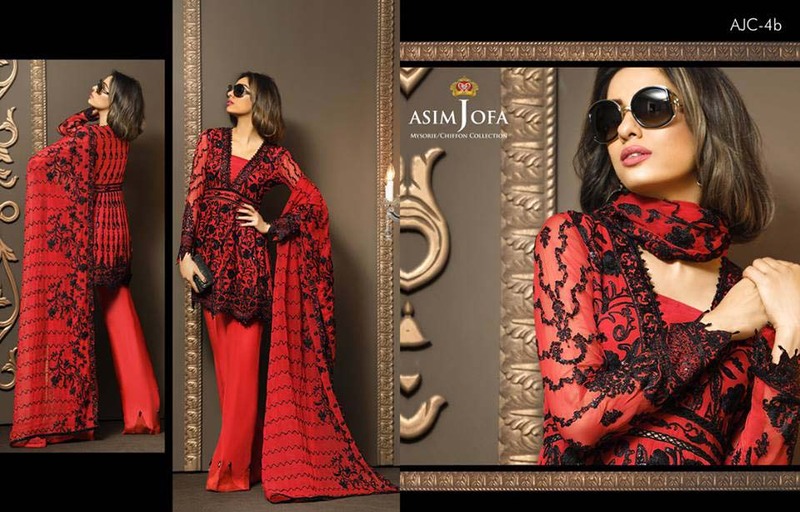 Asim Jofa the big name of clothing line needs no introduction, landed in textile industry that was lacked in fashion line. He stepped into market to gives people something which catch people attention and make him the leading brand of Pakistan. In start, he was jewelry designer as this was his forefathers profession. But soon he realized that he do his best in some other field and that field was clothing industry. 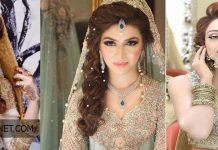 He always brings new collections not only seasonal but formal and bridal wear as well. His embroidered dresses always speaks his delicate and sophisticated taste through patterns. 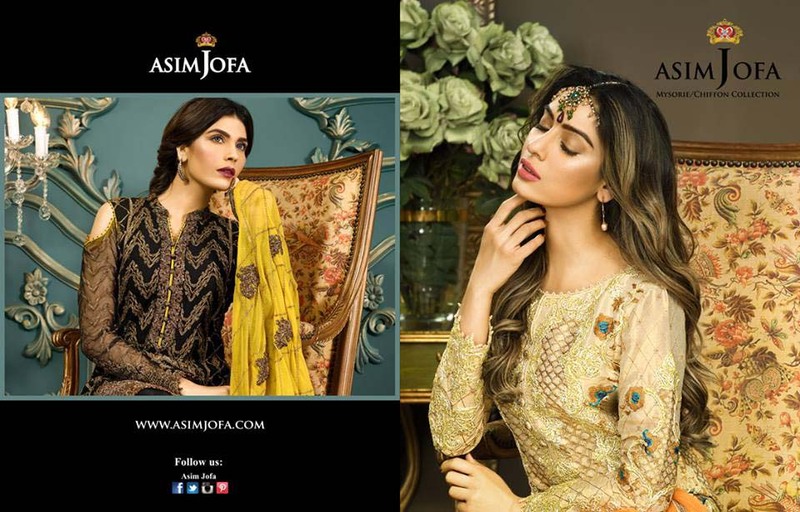 This year, the famous designer Asim jofa brings such fabulous designs that will make this eid more beautiful and memorable,as its latest collection is full of glamour and artistic work. This assortment emphasizes on hues like yellow, purple, green, blue, silver, black, rust, peach, red, shocking pink. The shirts front side is in silk stuff and chiffon back paired with trousers and straight pants and pencil trousers. Chiffon and Net dupattas with delicate embroidery and laces are paired. The fabric is in such quantity that you can stitch in your desired style like long shirt, peplum or short shirt. 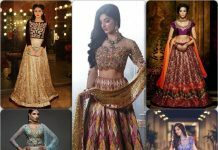 The beautiful contrasts are making this assortment more pretty and perfect for weddings and for this festive wear. 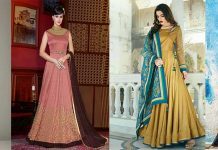 Now the season of Eid, you will see that everyone is excited to get designer dresses that are not only in good quality fabric but also according to latest stitching styles and designs. 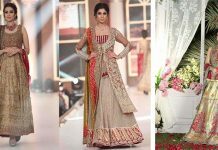 And these all thing you will see in Latest Mysorie Chiffon Collection by Asim Jofa 2017-18 Pakistani designers Dresses. 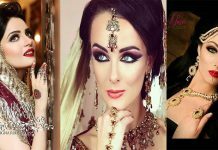 He has been known for his exquisite jewelry for decades and now he became the master mind of dress designing. The reason behind his fame, he treats everyone of his creations as he treated those when he was a jeweler. 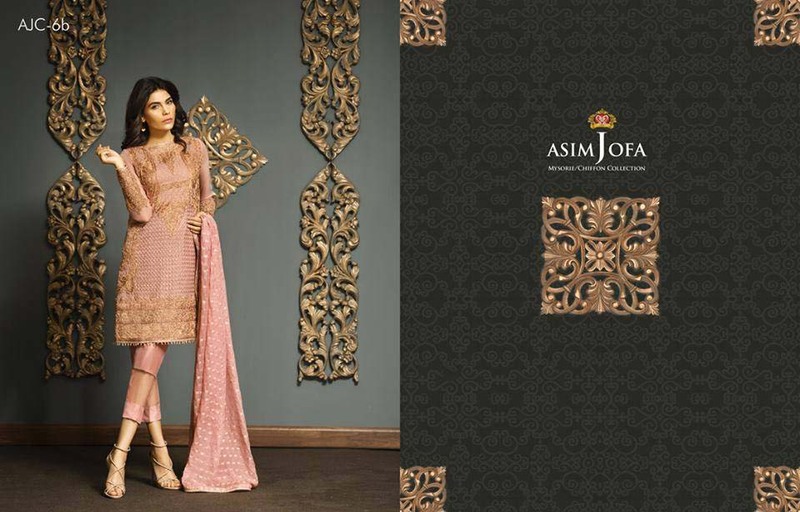 Asim Jofa Eid Collection is available at all its E-Stores or its retail stores. 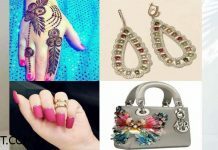 Lets make this eid more luxurious by a well known designer. 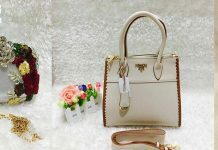 Girls always want something new and unique and they always remains in search to find more special piece for her. So here you can find all outfits under one roof. It’s time to celebrate this event with luxury formal collection. 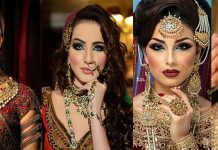 The gorgeous models Amna Babar and Noor Bhatti is presenting this series. Here are all images of this range is showcased. 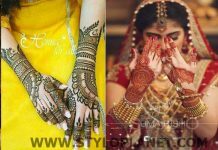 For more updates visit www.styloplanet.com. Nothing brings out poise and elegance like this regal Mysorie shirt that’s as unique as you are. The detailed embroidery and alluring ribbon work tell a tale of time-old grandiose and splendor. Slip into this exquisite piece and look no less than a celebrity. You are all set to make a lasting impact with the divine royalty of this Shimmery Net shirt. Lustrous Raw Silk and Chiffon fabric dipped in a glorious web of Dori work and sequins have all the right elements to steal hearts. Get your hands on this exclusive piece and enjoy being in the limelight. Nothing speaks of femininity and class louder than this Net shirt. 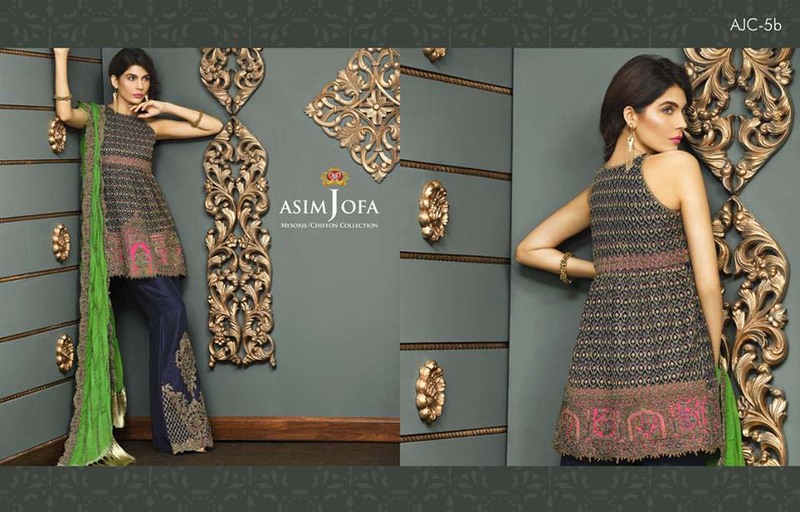 Asim Jofa creates magic with Gota and Zari work stunningly amalgamated with the royalty of pure Raw Silk. So slip in this beauty donning a pair of your favorite statement earrings and be the definition of elegance. Magic happens in the form of this regal piece when the finest craftsmanship and exquisite embroidery techniques of Asim Jofa come together. Be the symbol of grandiose with this Pure Crinkle Chiffon and Raw Silk sensation sprinkled with sequins and laced with fabulous Dori work. Drape into this Chiffon ensemble this summer to keep your cool and be timelessly classy at the same time. Embellished with fine thread work with Gota and sequin borders, this gem is bound to add that regal element to your wardrobe. 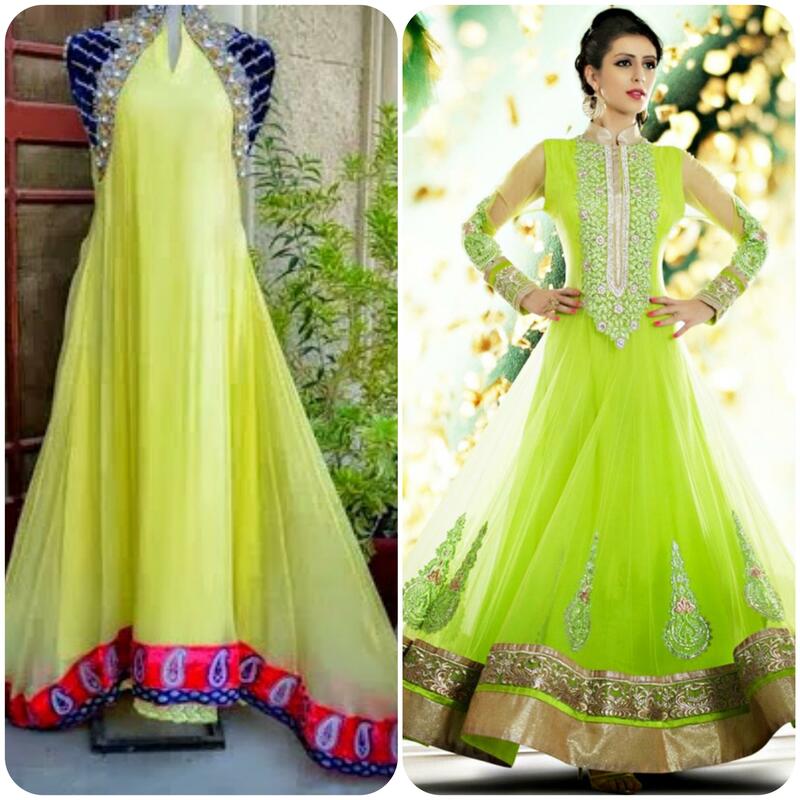 The beautiful dupatta is the right thing to perfect the look. Take your style game a notch up with this Pure Crinkle Chiffon piece of wonder. The picture-perfect Dori work topped with elegant sequins is the perfect recipe to set you apart from the entire crowd. 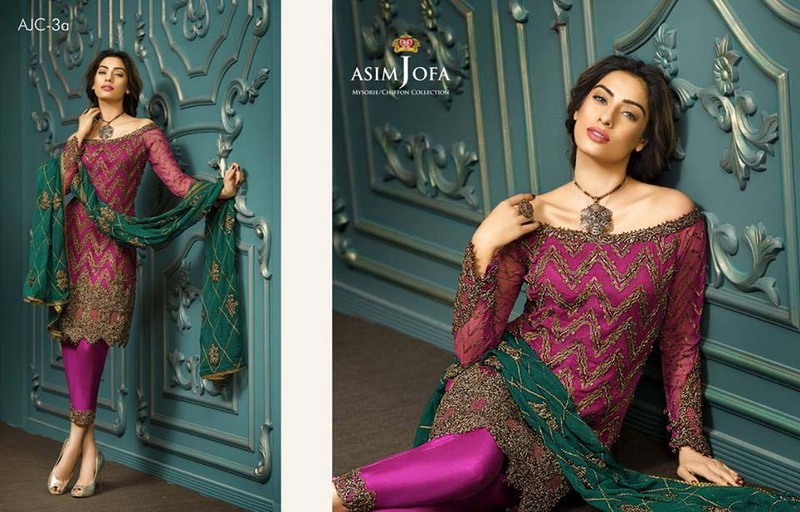 Asim Jofa's latest eid collection 2017 has stunned all audience, as this assortment enriched with splendid hues and stylish designs, adorned with embroidery.